Open community repository for collaborating on the creation of the ubiquitous XRP units symbol. 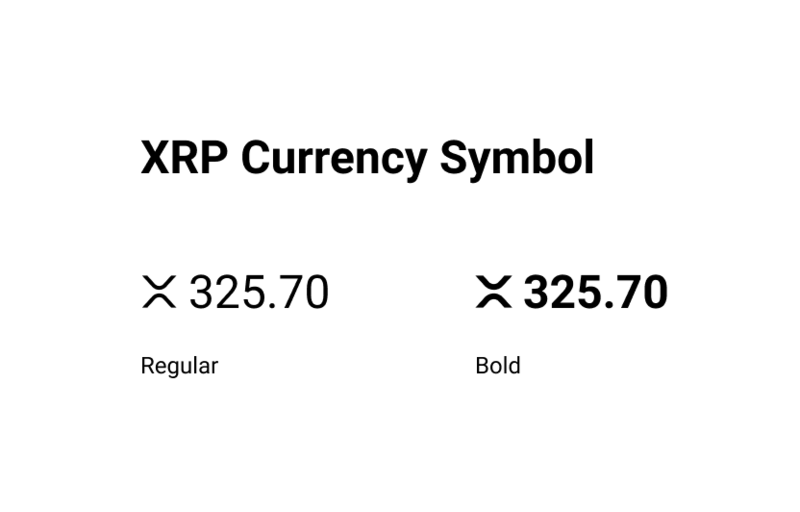 In order for XRP to be perceived as a “currency”, it needs its own symbol. Just like the dollar sign “$”, XRP needs a universal sign that denotes units of XRP. The current logo being used works great when referencing “Ripple” the company, and it should not be changed, but a character should be created to represent actual units of the digital asset. Bitcoin for instance, uses the ₿ symbol within an orange circle in an angle, and additional symbols have been suggested for the actual units, eg: ₿, Ƀ or ฿. This repository intends to allow collaboration to create the ubiquitous XRP units symbol that we can use to display the amount of XRP. Please open a pull request or submit tickets with suggestions. The following symbol contains the letters X, R and P hidden within the shape. The symbol also displays the shape of a “drop” or “droplet”. A drop is the smallest XRP denomination (1 XRP = 1,000,000 drops). The droplet was positioned in equilibrium, perpendicular to the “top left to bottom right” line on the “X”. If the symbol is rotated 120°, the “drop” hangs in perfect equilibrium. An interesting fact about this is that 120 is an untouchable number, and the first multiply perfect number of order 3 (a triperfect number). The sum of its factors (including 1 and itself) sum to 360; exactly 3 x 120. Ripple XRP already uses an existing unofficial ISO 4217 code, XRP. While using XRP as a prefix to an amount is possible, currencies like the U.S. Dollar use both the 3 character ISO code and a symbol, USD and $ respectively. In terms of cryptocurrencies, Bitcoin was recently given a new symbol in the Unicode Standard (₿). XRP is no different, as XRP meets the definition of a currency in some cases. What are the characteristics of a “currency”? Scarce: There will ever be a maximum of 100 Billion XRP created. Durable: XRP is digital, thus it does not degrade with use. Portable: XRP can be stored and moved in digital storage, eg: flash drives¹, mobile phone wallets¹. Authenticity Verification: XRP can be traced using the XRP Ledger and transactions are recorded in consensus. Storage: XRP can be stored in a universal distributed network of computers (distributed ledger) and digital wallets¹. Fungible: All XRP’s are considered equal and valued equally. Note: As people accept XRP in exchange for goods and services, and considering the aformentioned characteristics, the need for a universally recognizable symbol for representing the units of XRP is apparent. ¹Digital wallets and storage mediums refer to storing a seed (secret key) in a device that cryptographically references a public address in the distributed ledger. These wallets synchronize with the ledger to determine transactions, balances, etc. Once we agree on a symbol, we need to create a glyph that will need to be submitted to the Unicode Consortium for consideration. In order to be considered, we will need to get support from the community and a sponsor that can submit the application for the successful implemetation of this character into the Unicode Standard. If you have any suggestion for edits, or a completely new idea for a different symbol, feel free to clone this repository and submit a pull request (please use a unique branch name). New suggestions and ideas will be added to a separate section on this page. 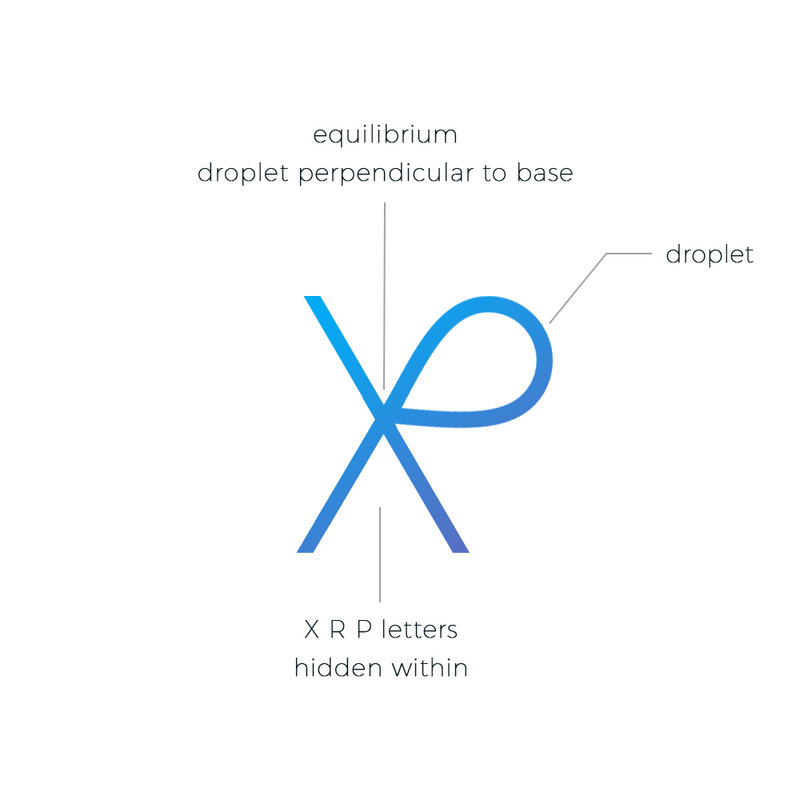 For those not as tech savvy, send your idea to suggestion@xrpsymbol.com Please use “New XRP Symbol Suggestion” in the subject line. DISCLAIMER xrpsymbol.github.io has no affiliation with Ripple (ripple.com), and mentions of XRP and Ripple does not constitute endorsement by Ripple Labs, Inc. or any of its affiliates or partners. XRP and Ripple are registered trademarks of Ripple Labs, Inc. in the United States and other countries.